I do not believe that Brexit means that the European Union is going to break up. Or that it spells the end of the euro as a currency. I’ve been very bullish on Europe and the Euro in the past. Even if the currency fluctuates, all these currencies are fluctuating, and the Euro did trade down from around the 140 level in late 2013, all the way down to 105 in January 2015, and people said, “Oh, it’s going to parity.” I said, “No, it’s not going to parity,” and it didn’t. It bounced back to 105 a couple times, back up around 110 today, $1.10. 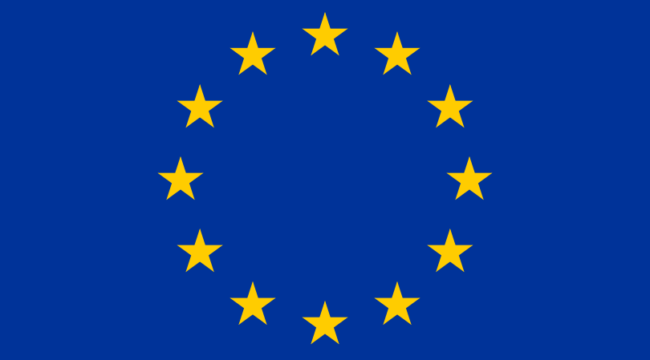 Now the important thing to understand is the European Union is not primarily an economic project. Does it have a lot of economic problems? Absolutely, from Greece to Portugal, now Italian banks, et cetera, but it is a political project. The way to think about the European Union, ask yourself, “Does the political will exist to keep it together?” Clearly, in the U.K., it didn’t. They left, but I could write a separate book on why the U.K. was never a good fit with the E.U. to begin with. Look, if the Brexit had been the Netherlands or Italy or Spain or someone like that, I would have a much more pessimistic or dire outlook for Europe, but it wasn’t. It was the U.K., and the U.K. has always been different. First of all, they never joined the Euro. The U.K. is Europe’s biggest economy by far, and it did not to join the Euro. The other countries in line who have not joined the Euro are either on the periphery or they’re trying to join but haven’t met the criteria yet. There are some special circumstances. The U.K. was the exception. They were the big country and the E.U. member that did not join, and they were the only one that kind of fit that. That’s because the U.K. was never a good fit with Europe to begin with. I would go back to the difference culturally and in terms of legal systems, not just geographically, although geography plays a role of course, but on the continent the legal was different. Obviously, Germany, France, Spain,Netherlands, Italy and others large countries have a legal system goes all the way back to the end of the Roman Empire, or to code of Justinian, Charlemagne, through to the Napoleonic code in the late 18th, early 19th century. It’s what’s called a code-based system of law. Contrast that with the U.K., which has the common law, and the common law is what was exported to the United States, Australia, Canada, New Zealand and sort of the English-speaking world. Common law and code law are completely different. It’s not just that the rules are different, it’s the mindset is different. In a code system, which is what you have in the E.U., the idea is if you have a problem, write a rule. If the rule doesn’t fix it, write another rule. If that doesn’t fix it, write another rule and keep going. Keep writing as many rules as you need until you fix the problem, and if it’s not fixed, write another rule. That’s the view of the E.U. Common law is different. Yes, there are laws, rules and regulations in common law. We probably have too many, but judges have equitable powers, and common law has a lot more scope for an ad hoc decision-making designed to achieve justice. You can have a case where under the strict law of contract, somebody should lose. A judge will look at it and say, “You know, that’s not really fair. Yeah, I know what the law says, but that’s not the right result. That’s really unjust, unconscionable.” Judges have scope to kind of make things up to get the right result. In Europe, you would never do that. In Europe, you would write another rule. You’d say, “If something bad happens, let’s write a rule.” This is actually a good way to understand the ECB, because when Janet Yellen talks about the dual mandate of the fed, employment and price stability, it’s lip service. They’ve got their own agenda, their own economic goals, et cetera. When Mario Draghi talks about his mandate, it’s not lip service. He takes it literally. He’s a legalist, and they will stick to it, and they will not do certain things, because they’re not permitted under the charter. That divide between the common law and equity and discretion on the one hand, and rules, on the other, is a big deal. It runs right down the middle of the English Channel, and it’s one of the reasons that the U.K. subjects rebelled against the European Union; too many rules. Immigration was a big part of it. The immigration issue in the U.K. was not about Syrian refugees. It was about Poles. It was about people from Poland taking jobs as nannies, shopkeepers, domestic help and landscapers or a lot of other things, and at entry-level positions. That was the immigration issue. It wasn’t Syrians, it was Poles. That comes from a European rules-based culture. Europe is solid. The U.K. leaving is a big deal economically. It’s a big deal for the U.K., and it will cause aftershocks, which we’re watching. One of the aftershocks will not be the breakup of the European Union. It will not be the end of the Euro. In fact, I expect the Euro to get stronger from here, again going back to the Shanghai Accord. If you’re asking if there will be crises, yes, there will be crises. Go back to Greece. With Greece in 2011 and 2012, Krugman, Stiglitz, Roubini, Zero Hedge, what were they all saying? “Europe’s breaking up. Spain’s leaving. Greece is getting kicked out. Germany is going their own way.” I said, “Nonsense, none of that is going to happen,” and it didn’t happen. London hates the Euro. The Brits don’t understand the Europeans much better than the Americans do, for the reasons I mentioned. You really have to go to Germany, to Italy, to Spain, to the Netherlands and talk to those people. Talk to the people on the ground, talk to elites and others, and read the local papers, see if you can get them in translation, or if you read the languages, and that’s how you learn about Europe. My forecast for Europe; there will be crises. There will absolutely be crises, coming in the Italian banking system, probably Deutsche Bank. We’re probably going to be hearing more about Portugal. We’re probably going to be hearing about Greece again, because Greece never goes away. I’m not denying any of that. That will come, that will cause volatility. When somebody looks at that and says, “A-ha, Europe’s falling apart,” don’t believe it. The answer is yes, there is that, there’s always that possibility. I guess the way I would explain that, what will happen is conditional or contingent. This is important to understand in terms of the best way to do forecasting, and how we do forecasting at our publications. It’s not as if the outcome is set in stone, and we just don’t know it. A lot of people think, there’s a certain outcome out there, and your job as an analyst is to work really, really hard to figure out what the outcome is. That is not the correct way to think about it, and it’s not how we do things. What we say is, there’s a range of possible outcomes. One is that everything comes in for a soft landing, it’s all good. It gets ugly and there’s some bad headlines, but they’re able to truncate it. The next is they try and it’s too little too late, and it just spins out of control and all of a sudden, we’re back to 2008. I would say that all three possibilities are in play, all three of them. The way you do analysis, and this is what we do in my premium research services Currency Wars Alert in particular, it’s called indications and warnings. The way you do analysis is to wake up every day, or in my case sometimes I’m up until 3 in the morning, and keep looking at data points to help you figure out which path you’re on, and recognizing that you could have these phase transitions where you pass from one path to the other very quickly. The simple way to explain it, I happen to be in Connecticut, and I happen to know that all the roadside restaurants to Boston are all McDonald’s, and all the restaurants to Philadelphia are all Burger Kings. I don’t know why that is, but it’s true. If you blindfold me and take me in a car and let me peek, and I see a McDonald’s, I know I’m going to Boston. I know I’m not going to Philadelphia. The point is, if you know what the Burger King/McDonald’s situation is, you don’t have to get to Philly or Boston to know where you’re going. You can figure it out along the way. To answer the reader’ question, does this have the potential to spin completely out of control and end up like 2008? The answer is yes. That’s not my forecast right now and I’m not forecasting that. I’m saying that’s on the table. That’s the reason to get fully allocated to ten percent gold, have more cash than usual, and pay close attention to what’s going on. The expected case would be that this gets worse, there’s more headlines, there’s more ugliness, between the Italian prime minister and the German chancellor. It’s not going to get quite as bad as Greece, but it’s going to kind of look that way, and accusations are going to fly back and forth. Remember, a lot of these accusations are just for show. They’re just for the newspapers, because you’ve got a local political constituency. The Italian prime minister can’t look like a doormat for the German chancellor, and the German chancellor can’t look like she’s not taking a hard line. When they get behind closed doors or meet in the hall or whatever, they work things out as we saw in the case of Greece. I would expect some ugly headlines, and some more volatility, and some more danger signs coming out of the Italian banking crisis. At the end of the day, I would expect that they will truncate this … “Truncate” is a very good word. Truncation, that’s the difference between an avalanche and a financial crisis. I’ve said the dynamics are the same and the math is the same, which they are. Analytically, you can look at the start of one. It’s exactly the same systems dynamic. You can’t stop a natural disaster. You can truncate a man-made disaster, meaning something capital markets, something in the stock markets, et cetera, a banking crisis. The question is, do you act too late? Do you see it coming? Do you have the right policy? Do you act in time, or do you act too late? Those are the variables, but you can snuff a systemic crisis in the financial world, if you have enough power, or if it’s not bigger than your balance sheet. Part of my thesis about the next really major global financial crisis is something bigger than 2008, and that’s not what I’m forecasting right this minute, but I do see it out there, is that it actually would be bigger than the central banks. It wasn’t bigger than the central banks in 2008. They did truncate it with 10 trillion dollars of guarantees, money printing and currency swaps. The next one will be bigger than that, but we’re not there yet. Short answer; does the Italian banking crisis have the potential to spin completely out of control, worse than 2018? The answer is yes. I’m watching that, but I don’t expect that. I expect that they will be able to truncate it, meaning bail in, bail out. It probably is a mix, but the absolute biggest banks will probably get bailed out, and some small sacrificial lambs will probably get bailed in. We’ll see how that plays out. I would expect volatility, nasty headlines, but at the end of the day, they’ll bring it in for a soft landing. It will not be the end of Europe or the Euro, but it will mean volatility, and it could mean a draw-down in U.S. stocks. It could look ugly, like August 2015, or go back to 2011, for that matter, when the Greek thing first popped up. It’s what I call non-directional volatility, or NDV, where you have, it goes down, the stock market goes down seven or eight percent, then it rallies back ten percent. It’s not really going anywhere. It’s like being on a roller coaster. Your stomach’s in your throat practically, but you end up back where you started. That’s kind of how the stock markets will look. I don’t think this will spin out of control, but it absolutely has the potential. It’s like quantum mechanics, thinking of everything in conditional space, where you’ve got two or three outcomes, and you don’t really know which it is until you take more observations.